August is the Sunday of summer. I have fourteen precious days left in California. Fourteen! I need to have a proper goodbye with my beloved state. To bid Cali adieu, I’ll have crab cakes benedict at Bill’s Cafe, hike through Muir Woods, stuff my face with pastries at Bouchon Bakery, bask in the sun on the beach, and dine at my favorite eatery in town, my parent’s house. This is a really exciting time in my life. I’m incredibly nervous and naturally a little sad to be leaving, but nevertheless, excited. I have been craving good chili for the past week and decided to cater to my craving. However, this is no time for some boring ol’ chili. 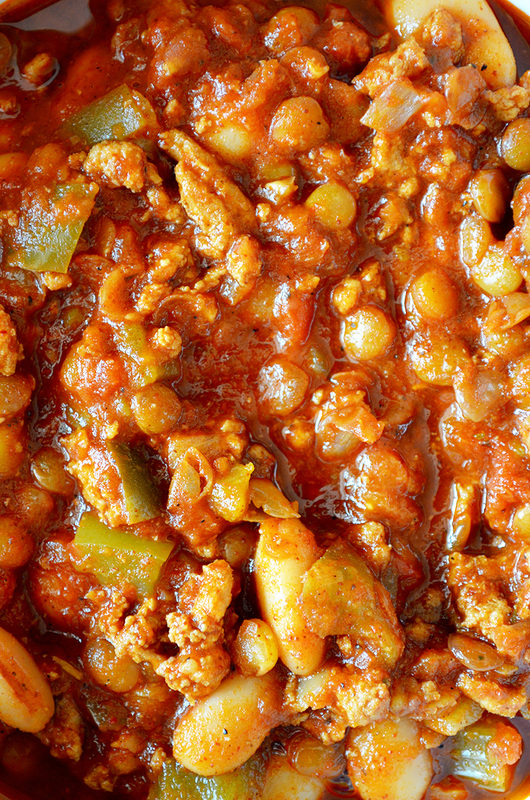 Exciting times call for exciting foods, which is why I made turkey chili with cannellini beans and lentils! I set great store by my new chili recipe, and it surely did not let me down. 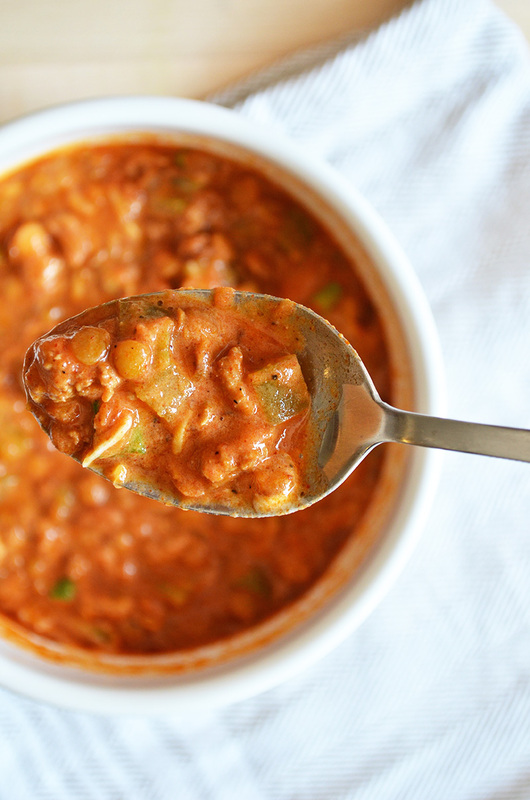 If you are tired of your old chili recipe and want something new and healthy, give this a try. Every bite is so delicious! I could eat my weight in this chili. 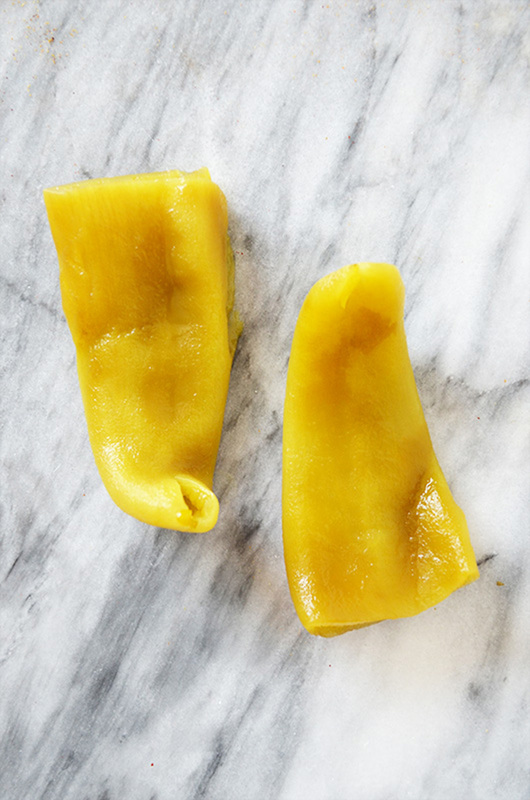 It’s not too thick and not too runny – it’s just right. Goldilocks would be pleased. My love for green foods is celebrated in this chili. 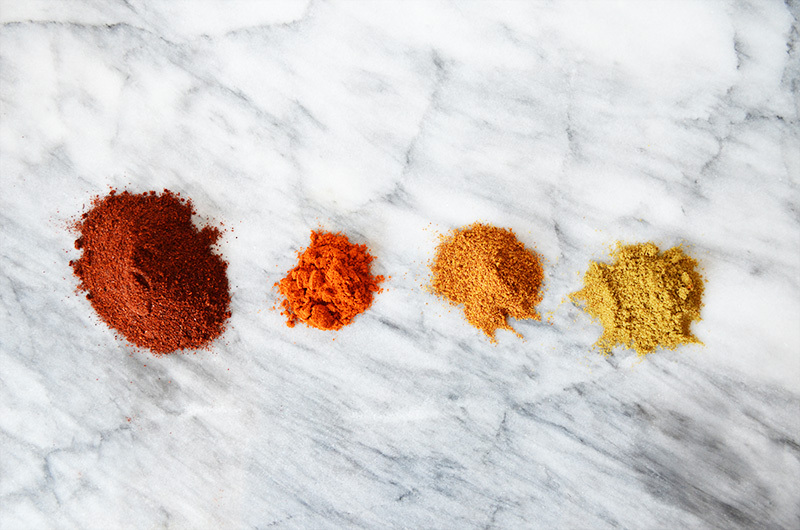 Chili powder, cayenne pepper, paprika, cumin, oregano, and garlic powder make up the perfect spice blend for this chili. 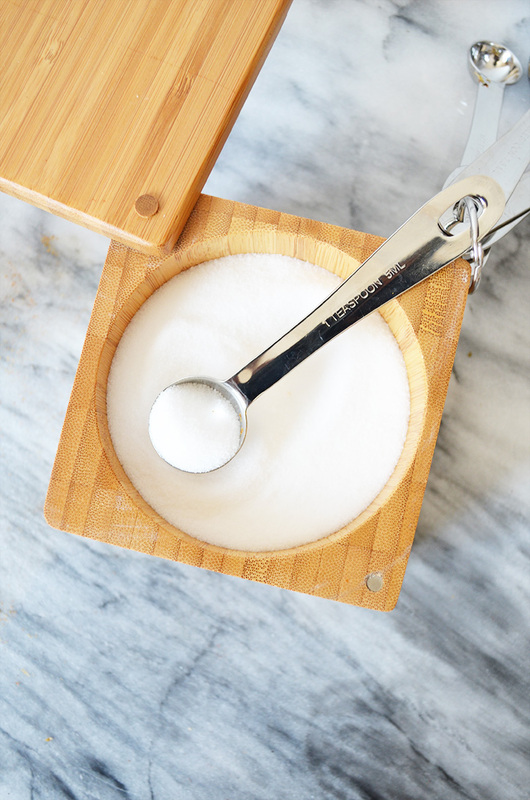 My dear cousin Tuyet just gave me this cool salt box and now I can’t remember what life was like before it. I love mild green chiles too much to not invite them to the party! 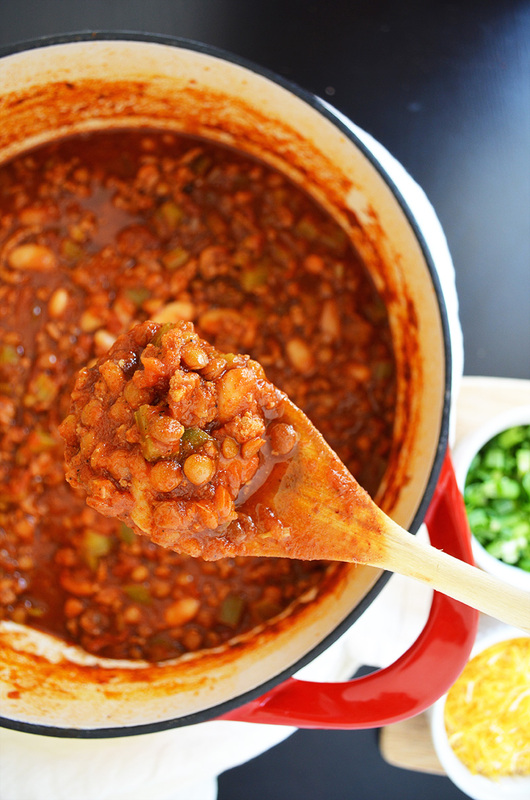 Let the chili simmer for one hour – it will thicken up nicely as it cooks. Soft vegetables, delicious beans & lentils, and healthy protein all in one bowl. This is something you could quickly whip up on a weekday. Plus, it’s very hearty and quite healthy. 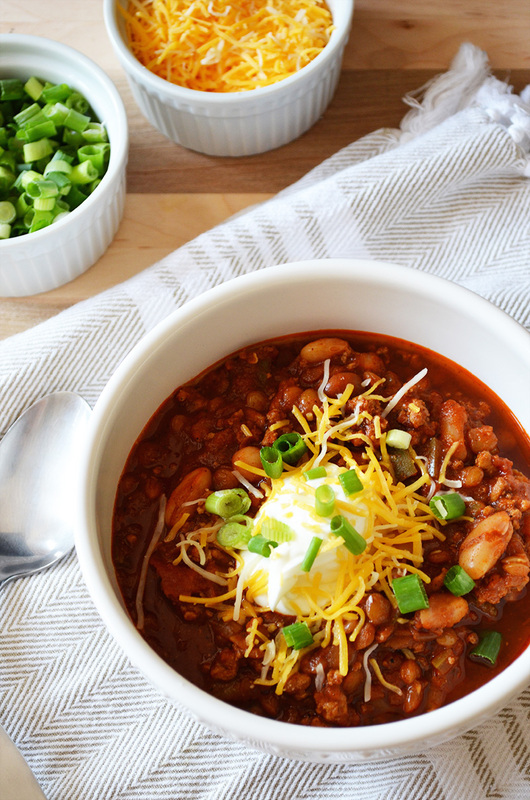 Some warm corn bread would get along very nicely with this chili. 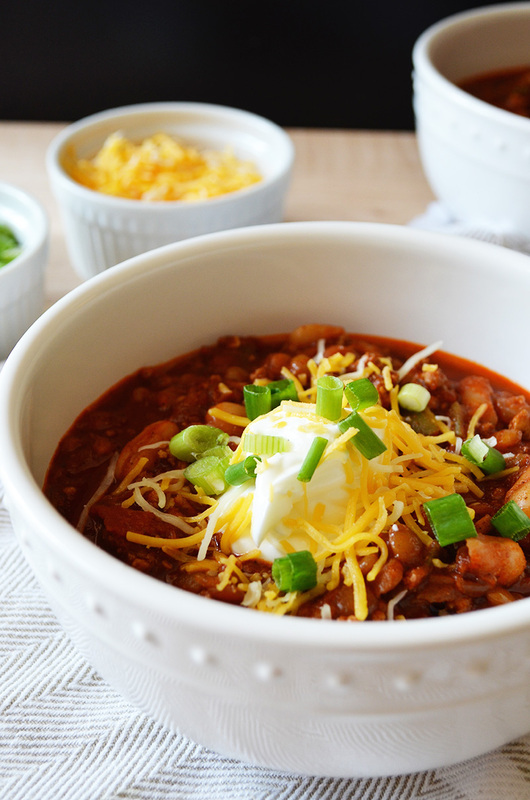 Top each bowl with a dollop of sour cream, shredded cheddar cheese, and sliced green onions and/or chopped cilantro. Mix it all up (or not) and enjoy! In a large pot or dutch oven, heat up the olive oil over medium heat. Add the ground turkey and cook until it's no longer pink, while breaking up the meat with a spoon or spatula. Season with a little salt and pepper. 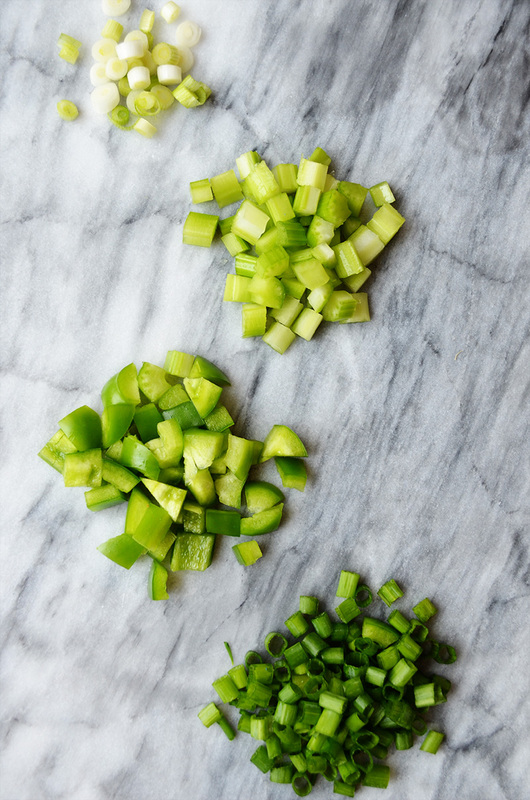 Add the shallots, celery, and green bell peppers, and season with a little salt and pepper. Cook for about 5 minutes, until the vegetables are soft. Add the lentils, cannellini beans, crushed tomatoes, chicken broth, green chiles, and all the spices. Stir together and bring to a boil. Reduce the heat to medium-low, then simmer for 30 minutes uncovered, stirring occasionally. Cover and simmer for another 30 minutes. Ladle into bowls and top with a dollop of sour cream, cheese, and green onions and/or cilantro, then serve. This entry was posted in Soups and tagged turkey. This looks awesome and your statement that “august is the sunday of summer” is beyond accurate! Thanks Medha! You are too sweet! It was a little reminder to all of us to enjoy the rest of this sweet summer! 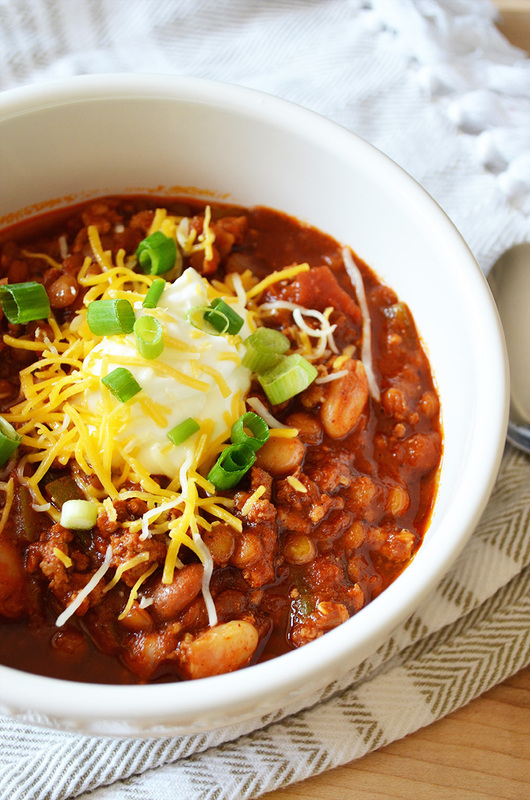 Love this chili! It looks so delicious, and it’s going to be perfect for football season 🙂 pinned! Thank you Rachel! I can’t wait for football season! I’m so glad I discovered your blog and you left a comment. What a gorgeous blog you have! Your photos are amazing! Thank you Jocelyn!! I love Grandbaby Cakes!! !